UPDATE: CAT & KITTEN REHOMED, MANY THANKS. 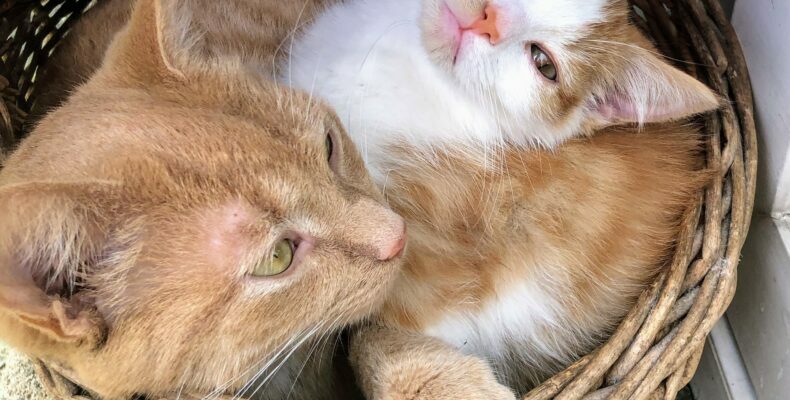 REHOMING:NEW HOME REQUIRED FOR GINGER FEMALE (NEUTERED) CAT 10 M/O AND HER GINGER KITTEN 3.5 M/O. UPDATE: CAT & KITTEN REHOMED, MANY THANKS. REHOMING:NEW HOME REQUIRED FOR GINGER FEMALE (NEUTERED) CAT 10 M/O AND HER GINGER KITTEN 3.5 M/O. Home (preferably together) required for Princess ( 10 months old) neutered & her kitten Kelso (3.5 months old). Socialised, very friendly and litter trained, note not familiar with dogs.Please share. Interested please message or phone Kilkenny SPCA. Ref: 270428.